Volunteer for the Film Festival! Our volunteers are the lifeblood of the Festival. Their hard work, passion, and dedication are what make the Festival run smoothly and efficiently. 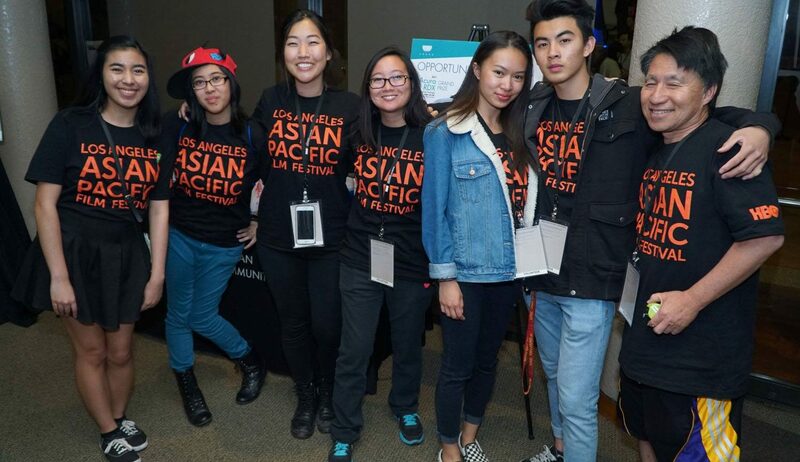 Volunteers will be able to connect and network with fellow enthusiasts in Asian Pacific American issues and media as well as gain experience of working at a film festival. Other volunteer rewards may include free screening vouchers and Visual Communication memberships. Festival Operations (Festival Week): Community Outreach, Photography/ Videography, Special Events Set-up for Opening and Closing Night, Theater Operations, Translations, and much more! To find out more details on volunteer opportunities and benefits, click here!